The TutuApp is one of the most popular app repositories on iOS for iPhone and iPad. 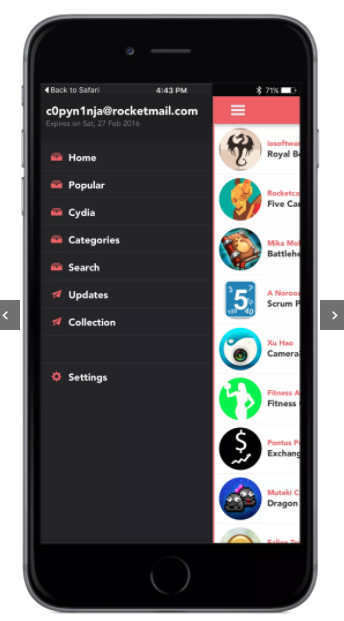 It provides the iOS users with a convenient way to download and install free paid apps and hacked apps on iPhone and iPad without the need of Apple ID or jailbreaking it. However, if TuTuApp wasn’t enough for you, here are the best Tutuapp alternatives for iOS. TutuApp alternatives are the app for iOS that offer similar or better features to the users. We have researched and shortlisted these best 6 TutuApp alternatives on iOS for iPhone and iPad. The vShare is one of the most popular third-party app repositories that are available for the iOS device. So, if you are looking for a TutuApp alternative for iPhone, then vShare is a good choice. The vShare offers a third-party apps store from where the users can download free paid apps without the need for Apple ID or having to jailbreak the iPhone or iPad. Open the Safari web browser on your iPhone. Type vhare.com and download the regular version of the vShare. After the installation, you may need to make the vShare app trusted in the settings. So, go to Settings > General > Profile and Device Management. Tap the vShare profile and tap twice on Trust option to make the app trusted. Now you should be able to open the vShare app download the apps and games you want. If for some reason the vShare regular version isn’t available, then download the vShare PC client and install it from the vShare website. After the installation, connect the iPhone to PC and let the PC detect the phone. Click on the vShare icon and allow the client to install the vShare app on iPhone. After the installation, the app icon will appear on the home screen of the iPhone. The AppAdict is another TutuApp alternative that is available on iOS for iPhone and iPad. The AppAddict comes in two versions; AppAddict for Jailbroken device and AppAddict for non-jailbroken devices. 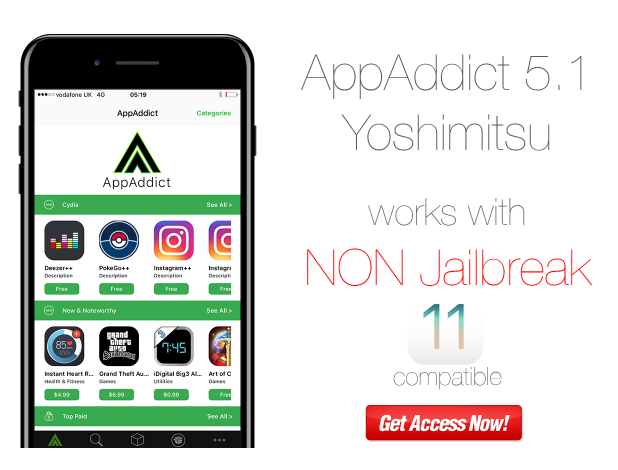 The Non-jailbroken AppAddict version is a premium version, and you may need to spend some money to gain access to it. The app offers ability install creaked apps without App ID or Jailbreak. It also supports iOS 11. Even if you have an older version of iOS like the iOS 9, AppAddict will work fine. The AppAddict has the auto-update feature where the user can select the update notification, and the app will update automatically. You can visit the official AppAddict website to download and install the app on your iPhone and iPad. If you are looking for a more simple yet useful TutuApp alternative, then give iPASTORE a try. The iPASTORE is not a free app, but a good TutuApp helper alternative for iOS on iPhone and iPad. iPASTORE is an on device CodeSign app that allows you to re-sign the app that has been not signed by the Apple Inc making it possible to install third-party apps without Apple ID or a Jailbroken device. The iPASTORE supports iPhone and iPad running iOS 8.0 or above. The iPASTORE may not be the best Cydia replacement but gets the job done with the collection of apps it has to offer. The iPASTORE comes with AppCacke support that allows you to view latest apps, view favourite apps, search AppCacke for Apps and check updates easily. You can get the iPASTORE app from the official website. The instructions to install the apps is available on the website as well. HipStore is yet another great alternative to the TutuApp helper for iOS. It is free and easy to install. HipStore is again not a replacement for Cydia, but it also offers a good collection of apps. HipStore does not require the user to have a Jailbroken device to install HipStore. You can follow our detailed guide on how to download and install HiptStore on iOS for iPhone and iPad. 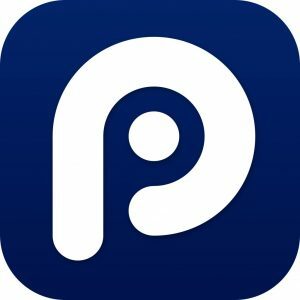 25pp is a Chinese TutuApp helper alternative and works on Non-jailbroken iOS devices. You can install 25pp without a PC or Mac. It offers all the basic functionality of an alternative apps store. You can download cracked apps and free paid apps and install it without the need for Apple ID. Follow our detailed guide on how to download and install 25pp on the iOS device for more details. So, these are the best 6 TutuApp alternatives for iOS on iPhone and iPad. If you think we have missed a good alternative then let us know in the comments section, we will be happy to update the list with new apps.